Alkaline Trio 1 of 4. 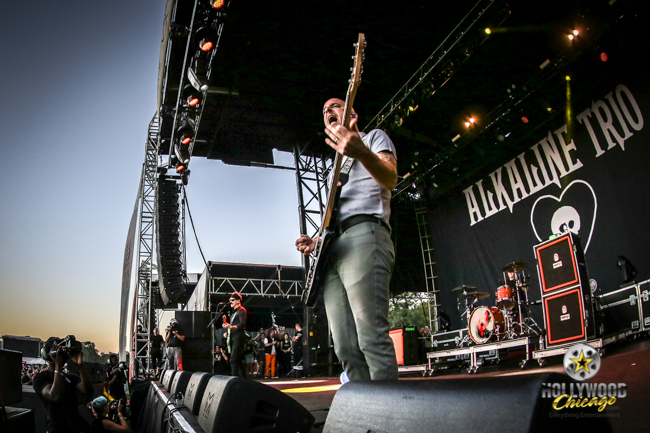 CHICAGO – Alkaline Trio, Bullet for My Valentine, Suicidal Tendencies, The Dangerous Summer, Just Friends, Calpurnia, Save Face, SWMRS, Fear, Beach Goons, No Small Children and more performed at Riot Fest 2018 in Chicago on September 16th, 2018, the third day of the three day happening at Douglas Park. HollywoodChicago.com photographer Jeff Doles was there on Sunday the 16th and took the following Exclusive photos.